Artwork created by Raul Gonzalez (Raul the Third). Poster design by LCX Graphic Designer Jose Cabrera. The first wave of guests for the 5th Anniversary of the Latino Comics Expo taking place in Long Beach, California this August has been announced. 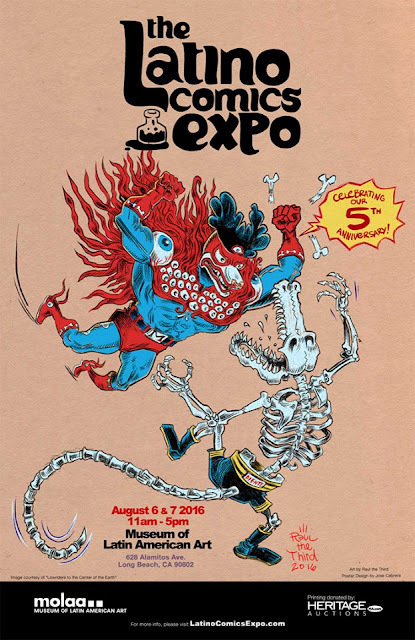 Jaime Hernandez (Love & Rockets), Raul the 3rd (Lowriders in Space), Crystal Gonzalez (In the Dark) and Candy Briones (Taco El Gato) are the first creators to be scheduled to appear at the Museum of Latin American Art for this unique comic con. The event is described as "highlighting the creativity of comic book creators whose work reflects the influence and celebration of the Latino culture." Ricardo Padilla and independent comic book creator Javier Hernandez founded the Latino Comics Expo in 2011 as a way to bring to the forefront underrepresented creators through their works and the artists themselves. Meet the talented line-up, and others as they're announced, this year at the Museum of Latin American Art in Long Beach, CA this August 6 & 7. Jaime Hernandez, the acclaimed cartoonist from LOVE & ROCKETS, the legendary comic book series he started with his brothers Mario and Gilbert Hernandez over 30 years ago. Jaime returns to join us once again. Don't miss your chance to visit with a true icon in the world of comics! 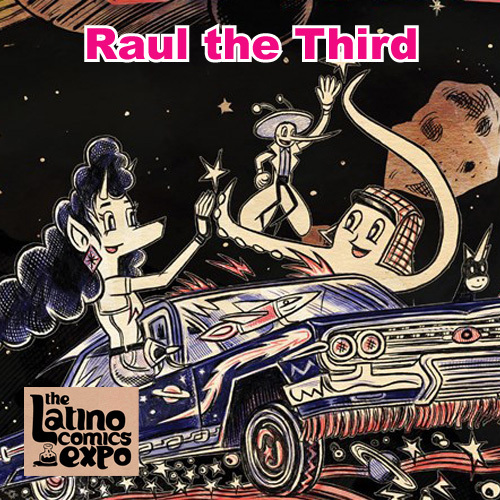 Raul the Third, the award-winning artist and co-creator of the popular children's book series, LOWRIDERS IN SPACE, joins us for his first Latino Comics Expo. Raul created the artwork for our 2016 poster, and recently won a 2016 Massachusettes Cultural Council Artist Fellowship Award. 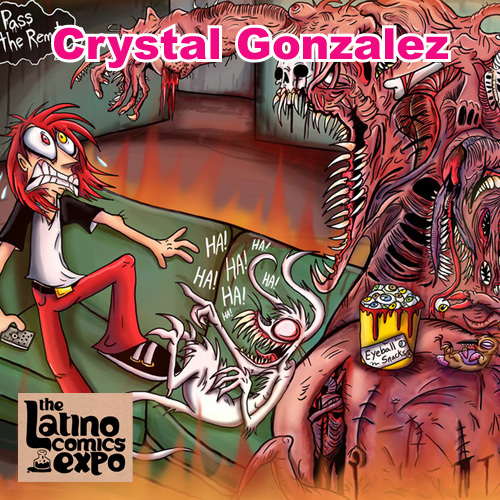 Crystal Gonzalez has been with us since our very first Latino Comics Expo back in 2011. Her creativity encompasses painting, animation and comics (IN THE DARK). Watch some of her animated shorts (featuring Skitzo the 1920s Killer Bear) on her Youtube channel. 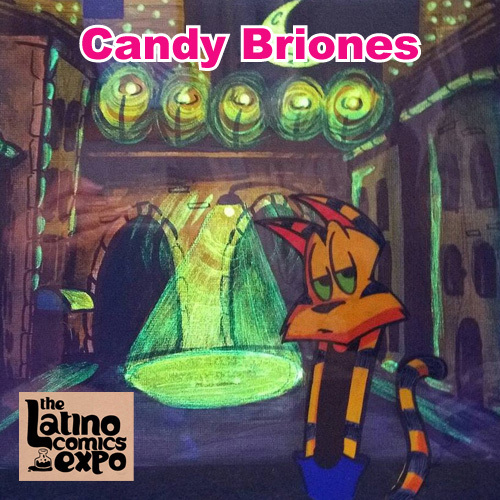 Candy Briones is the creator of the comic TACO EL GATO, which will be published in an upcoming collection by Rosarium Publishing. 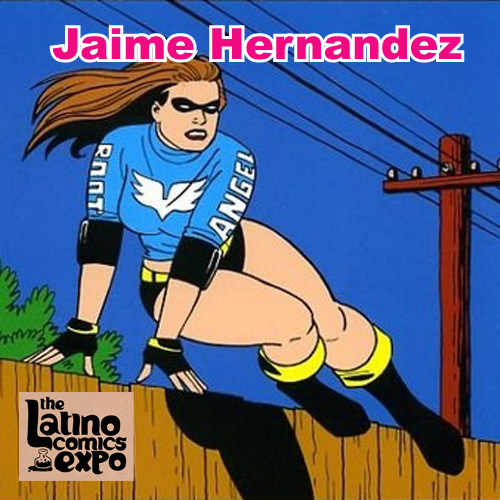 We welcome her to her first Latino Comics Expo. Stay tuned here for more announcements of the talented folks joining us for our 5th Anniversary Latino Comics Expo! You're welcome Javier. I'm still piecing together some questions for you as we get closer to the Expo. A great line-up so far. I'll be spreading the word. I'm going to this, for sure! Thanks for the support.